The Xbox Live Marketplace is dead… Long live the Xbox Games Store. 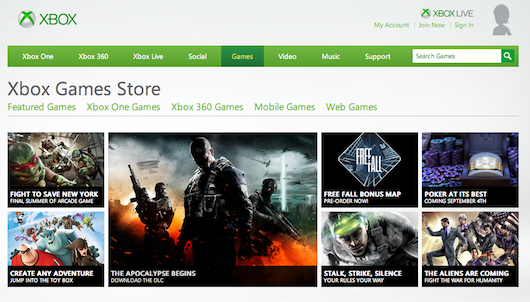 Today, Microsoft has rebranded is iconic Xbox Live Marketplace and switched it to a more modern Xbox Games Store. The change which is already visible on the Xbox homepage. Joystiq approached Microsoft over the change and a spokeperson stated the following.